Word of mouth is the best way for me to find out about interesting restaurants—and, once again, my foodie informants have not let me down. Over the past few months, two Ogden eateries kept popping up in e-mails, on Twitter and in Facebook messages: Slackwater Pub & Pizzeria and Ohana Sushi & Asian Cuisine. These two Ogden eating spots couldn’t be more different, yet each has its own very unique appeal. Slackwater owners Justin Gumm and Krissann Smith have created a welcoming, Ã¼ber-friendly zone for eating and drinking that simply oozes good vibes. The servers and staff are courteous and professional, but also just really nice. There is a genuine, neighborly attitude and comforting embrace here that is hard to fake. So, there’s that. 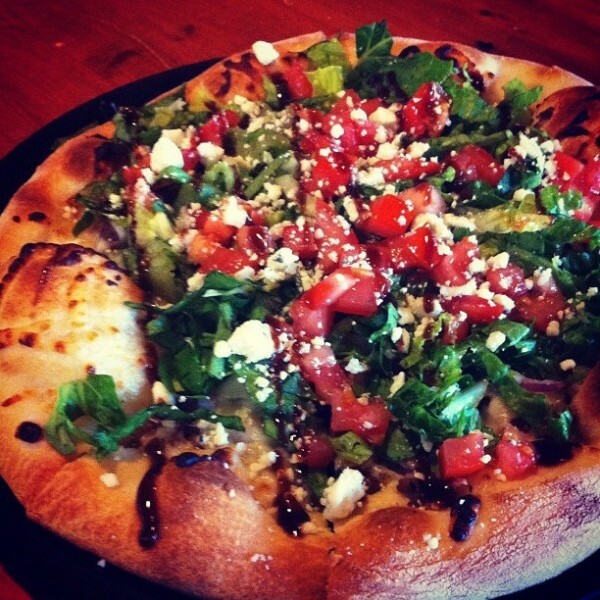 And the food at Slackwater Pub & Pizzeria was, frankly, better than I’d expected. For example, there’s Mulligatawny soup ($4) on the menu that is simply superb. It’s a slightly sweet and spicy curried cream soup that incorporates celery, onions, roasted garlic, carrots, tart apples and house-roasted chicken, and it is delicious. The salads are good, too: Caesar, Cobb, spinach and a salad called “miso hungry”: mixed greens with red cabbage, shredded carrots, baby spinach and pineapple, drizzled with white-miso vinaigrette and garnished with toasted almonds and sesame seeds ($7.50). You can kick the salad up a notch by adding roasted chicken or shrimp. Pizzas are the main draw, however. Well, pizza and beer. The pizzas are hearty and rustic, with lightly charred, bubbly crusts and high-quality toppings—some of them pretty unusual, like chicken Marsala, Thai coleslaw, barbecued pulled pork, green goddess dressing, and tequila-infused shrimp ceviche with cilantro-lime cream sauce. To be honest, I prefer the more traditional toppings offered at Slackwater, like herbed sausage and vine-ripened tomatoes—but, to each his own. The “this is Sparta” pizza ($12) has Greek-flavor appeal: garlic-infused olive oil topped with herbed sausage, artichoke hearts, roasted garlic, olives, sun-dried tomatoes and crumbled feta. Hey, where’s the oregano? Be prepared for some serious heat if you order jalapeños for a topping. I did, and found my pizza completely covered in very thick jalapeño slices; you certainly don’t get cheated on the pizza toppings at Slackwater. By the way, the kitchen will turn any pizza into a calzone for an additional buck. For a good veggie-based sandwich, try the tree hugger ($9). It’s housemade hummus spread onto a ciabbata roll, then loaded with tomatoes, cucumbers, red bell peppers, mixed greens, shallots and avocado, topped with balsamic vinegar. And beer lovers take note: The beer selection at Slackwater is ginormous, with more than 100 to choose from, each accompanied on the beer menu with an A-to-F grade from the Beer Advocate. Brews run the gamut from Ayinger Celebrator Doppelbock (A) to Bud Light (D-). There’s also a pretty good wine selection for a pub, with options like Caymus Conundrum, La Marca Prosecco, Gloria Ferrer Blanc de Noirs, MacMurray Ranch Pinot Noir and Frei Brothers Chardonnay. Plus, Slackwater offers an enticing roster of live events, ranging from music most Thursdays through Sunday, with the occasional poetry night thrown in, or events like free avalanche-safety classes. And there’s Sunday brunch, to boot. Meanwhile, just a few blocks away, a relatively new Asian restaurant is quietly gathering strength. Rebecca, one of my most trusted informants, turned me on to Ohana, and I’m thankful. Ohana is mostly about sushi, but the pan-Asian menu also offers Chinese dishes like ma po tofu and walnut shrimp, along with some Thai noodle dishes such as shrimp pad thai. Overall, though, the menu is skewed toward Japan, with bento box lunch specials, udon soups, sushi, nigiri, sashimi, teriyaki and yakitori. You might not expect much in the way of décor at Ohana based on its strip-mall location. But, once ensconced inside, you’ll be surprised to find plush leather chairs, a small sushi bar in the rear with very contemporary style and lines, avocado-colored walls, modernist art and a well-designed lighting scheme—all the better to show off the sushi creations, which are works of art themselves. My favorite sushi roll at Ohana (they range from $4 to $13.50) is the spicy Baja roll ($9.50). Not for the faint of heart, this is spicy tuna and avocado with a fiery sauce, topped with sliced jalapeños, each piece garnished with a dollop of Sriracha hot sauce. Talk about bringing the heat! I’m glad we started with something a tad milder: very fresh pieces of nigiri ($4 to $8.50). The tai (red snapper) was a generous piece of raw snapper atop perfectly formed nigiri rice, garnished with fresh ginger, wasabi and sliced cucumbers ($4). Maguro (tuna) was also of very high quality ($4.50), and all of the fish at Ohana was remarkably fresh and perfectly prepared. Don’t overlook the cooked food, though. An appetizer of chicken yakitori ($6.50) was a huge serving of four large pieces of skewered white chicken meat wrapped in a thin breading, with teriyaki glaze. Kids will love it. Other tempting Ohana starters include vegetable tempura ($5.50), tempura coconut shrimp ($9.50) and sesame-seasoned octopus salad ($6.50). At lunchtime, finding a seat can be a challenge, as folks seeking a bargain know that Ohana is an excellent choice. For example, I enjoyed a lunch special of (again, a generous portion) pork tonkatsu—a panko-breaded, deep-fried pork cutlet with an interesting dipping sauce that had nutmeg and cinnamon notes. The lunch special—a mere $7.50—also came with steamed rice and a choice of soups: miso, egg drop or hot & sour. The hot & sour soup was delicious, but so was the miso. The typical smattering of sake, Japanese beers and a handful of not-very-interesting wines rounds out the Ohana menu. It’s a terrific little spot for sushi and more, but BYOB if you’re planning to drink wine.